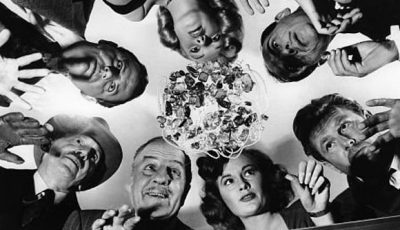 With the help of the movie recommendation podcast, Down The Hall, Top 10 Films writer Lyndon Wells has compiled a list of the best acting performances ever! After taking on Top 10 Oscar Best Picture Snubs and Top 10 War Films we now take on the difficult task of Top 10 Acting Performances. This is not necessarily who we consider the best actors but our favourite single performances. You can check out the podcast via iTunes, Soundcloud and on Down The Hall Podcast.com. 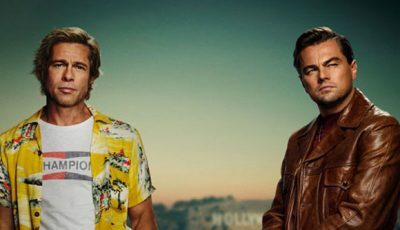 On the podcast we also discuss some notable omissions from the list and some actors that have multiple performances that could have made the list. There is also another quiz on the podcast “The British Scene” to determine what top 10 list we will be tackling next with the Down the Hall guys. Check out our final list below, do you agree with our list? Let us know what you think, do your favourite movies also have your favourite acting performances? A recognised force of acting especially with his recent performance in Fences. Washington often elevates average films with his excellent performances such as Inside Man, Unstoppable and The Equaliser. He may have won the Oscar for Training Day but he makes the list in this ultimate revenge film. Denzel Washington carries the film as he portrays a clear three act arc from lost and depressed to finding his humanity again when employed as a bodyguard for the young Dakota Fanning and then releasing his violent vengeful side when she is kidnapped. A layered and thrilling performance that sneaks in at no.10. This choice was championed more by the Down the Hall Guys as the multiple diminishing sequels have taken much of the shine away from the original performance. Taking the first film on its own this is an ionic performance that has infected popular culture to this day. Depp’s unique approach and mannerisms made a captivating portrayal of a plucky pirate captain who was able to thrill in a largely comedic performance. One of my favourite films and my favourite comedic performance, an endlessly quotable film ‘anchored’ by a central ludicrous role. To play it completely straight every laugh lands and it is a film that improves with repeat viewing. Comedic performances are often not given the credit and praise they deserve but we are all big fans of this one. This is the film that Leonardo DiCaprio should have won the Oscar for. That scene alone where the multiple drugs he has taken make him enter the “cerebral palsy” phase is a darkly comic and affecting portrayal. DiCaprio goes into full grandstanding mode when motivating his employees and yet also convincingly carries the emotional weight of his hedonistic decisions. DiCaprio is one of the greatest working actors today and deserves to be on this list for a number of roles but this is my favourite. A choice championed by the Down the Hall guys, a film I had to revisit before compiling the list and podcast. 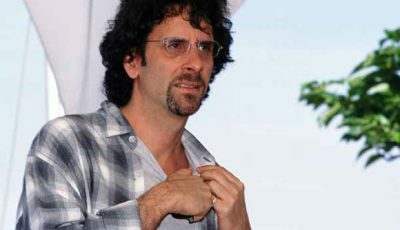 As Chet says Penny Lane’s arc and performance mirrors the journey of maturation of the leading character, which is also enhanced by Cameron Crowe’s direction and visual style when Hudson is on screen. Hudson brings an endearing charm to the role that despite being in support you want to spend more time with and part of her mystique is her unclear backstory. This performance makes the rest of Hudson’s career even more disappointing but I implore people to see this film and seek out the extended cut as it is an much forgotten gem. Kevin Spacey is recognised as one of the best actor’s working today and this is perhaps his defining performance. He plays the everyman that is faced with some extraordinary circumstances and emotions yet keeps his performance grounded and relatable even until his emotional closing narration. Despite his decision and disregard of others Spacey’s warm performance carries the audience along, but we know from other performances such as Seven this is an actor with an impressive range. 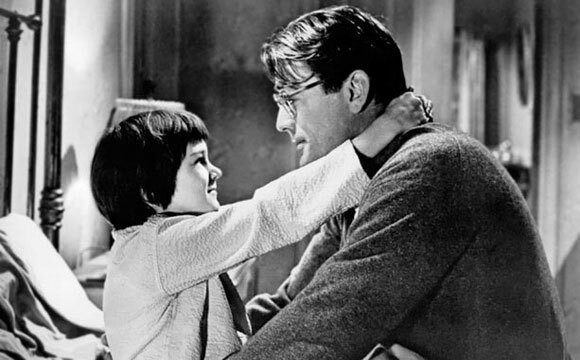 I love a good superhero film but whenever I am asked who is the best hero ever in film for me the answer is always Atticus Finch. Gregory Peck’s portrayal of this literary legend transcends the page in one of the best courtroom scenes tackling racial prejudice, father food and the moral strength to do the right thing. He takes to the task with the quiet calm of the screen greats of Hollywood’s golden age. Peck is an intense but measured screen presence, the opposite to the more showy and grandstanding of DiCaprio’s at number 7. The most recent addition to the list, a difficult and challenging film made with an unbearable emotional intensity. This is a film of two halves that relies on Brie Larson’s performance to carry the emotional baggage from two separate situations. She is her son’s world when they are trapped in that room as her maternal instinct to create an imaginary world that is safe and exciting for his young mind. And when they escape the emotions of her lost childhood, her parents, her home and her hometown come flooding back to the point where her son becomes her emotional rock as she collapses to the point of self-harm. Oscar winning actors are often applauded for the physical endurance they put their body through, but the emotional ones are far more impressive and psychologically difficult. 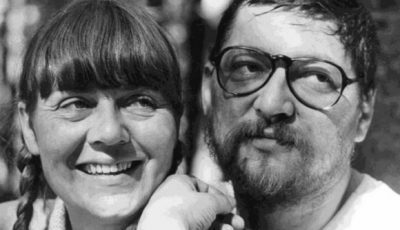 This film is a stunning exploration of child psychology as Ma herself is still only a child and this performance will be remembered for years to come. It seems villainous roles are more popular in our list than heroes such as Captain Jack Sparrow and Atticus Finch. This is an ionic role that instantly became embedded in pop culture despite only really being a supporting role in the film, which led to the sequels being more based around Hannibal Lecter himself. 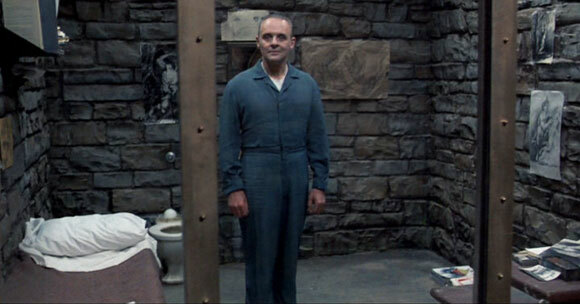 Anthony Hopkins’ performance made the words Chianti and fava beans forever associated with cannibalism. Hopkins also does not blink throughout the whole performance and his presence alone elevates the film and the performance of those around him. There isn’t much to say about this role and performance that hasn’t already been said. I thought we would struggle to find a combined number one but it was an easy decision. The tragic circumstances surrounding Ledger’s death before the film’s release and his posthumous Oscar does add a certain level of mystique and aura but without the surrounding detail I think this would still top the list. There was a huge backlash after the announcement of his casting but once audiences saw the film the stellar performance was undeniable. To be able to take an already iconic screen role and recreate it to something fresh and disturbing but simultaneously mesmerising is an impressive feat of art. It is such a shame that Heath Ledger never got to see what heights his acting could go to but what a legacy this performance alone is. Christian Bale himself admitted on-set he knew this film was stolen from him; this was Ledger’s time to shine and is rightly remembered as one of the greatest modern acting performances ever. Let us know what makes your Top 10 Acting Performances? This top 10 was a collaborative effort between Down The Hall podcast hosts Rodney and Chet with Lyndon. Check out the podcast for their individual arguments for and against including the films above. Awesome effort guys. With such an open topic I wouldn’t know where to begin. I guess I’d start with some of my favourite actors like Richard Dreyfuss, Dustin Hoffman, Jake Gyllenhaal and Tom Hanks. So I suppose my first thoughts are that it’s a shame they didn’t make this list but to get just 10 is a great feat and you’ve argued the selections so well. I’m particularly drawn to the inclusion of Kate Hudson. She’s not an actress I’m fond of but it’s interesting, and perhaps significant, that she’s excellent in Almost Famous. This, like you say, makes her career a bit of an anomaly. It’s easy to focus on what doesn’t make the list so I’m going to compliment the inclusions of Hopkins and Ledger, who are both incredible in The Dark Knight and Silence of the Lambs. Thanks Dan, very open topic and difficult to narrow down. I personally found some of my favourite actors with multiple impressive performances didn’t quite make the list as it was difficult to choose one Tom Hanks, Daniel Day Lewis and Jack Nicholson are examples for me. Agree Kate Hudson has had a very disappointing career since Almost Famous. Actually between the 3 of us we reached to Top 2 very quickly they are amazing performances! Well reasoned arguments for all the choices. Did Sigourney Weaver’s name crop up in the discussions? It’s interesting that some of Hollywood’s biggest names didn’t make the top 10 – I’m thinking De Niro, Pacino, Newman, Brando, those guys. It’s refreshing to see that but I’m not sure Will Ferrell deserves a spot ahead of De Niro’s Taxi Driver or Brando’s Godfather. Great top 2, wonderful to see Brie Larson, and nicely argued reasoning behind picking Denzel in Man On Fire over some of his other top efforts. There’s a few great Washington performances but I think I’d go with Man On Fire too. It’s certainly my favourite film of his. Yep Sigourney Weaver was high in contention and just missed out- it’s a great choice. The list is our personal favourites, the popular and obvious choices De Niro, Pacino, Newman were all in contention but didn’t quite make our list. It’s all down to personal preference and what films have made the biggest impact on us not necessarily the best actors but our top performances. We weren’t swayed by picking the actors that people expect to see but what we collectively consider the Top10. And Man of Fire will always be my top Denzel Washington film incredible performance and more oscar worthy than Training Day. Great top 10 and topic! I love so many of these performances, my favourite being Heath Ledger so he’s a perfect number 1. My favourite performance of all time is Jack Nicholson in The Shining. Thanks, have a listen to the podcast as well, I discuss Jack Nicholson as a notable omission but for One Flew Over the Cuckoos nest. I remember seeing Brando in The Godfather and De Niro in Taxi Driver and being utterly astonished. They were performances of absolute perfection. They’re the two that jump out for me. Yep they are 2 big and popular omissions. If it was a list of Top 10 actors I would include both of them especially De Niro- he has some many great performances like Taxi Driver, Raging Bull, Godfather Part 2, Goodfellas & Casino which perhaps why he didn’t make the list too many to choose from! Both these performances I heard so much about before ever seeing and they are both amazing but perhaps expectation was too high which is why the list leans towards more recent surprisingly great performances like Brie Larson in Room . Such an interesting topic with so so many choices! Peter Sellers in Dr Strangelove. Pacino in Dog Day Afternoon. Poitier in In The Heat of the Night. Woody Allen in Annie Hall. Katherine Hepburn in On Golden Pond. 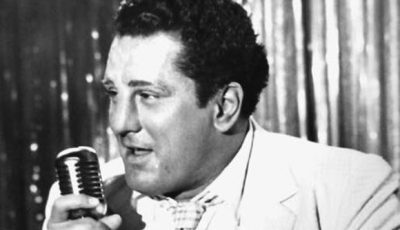 De Niro in Raging Bull. Streep in Kramer Versus Kramer. Loved Sellers in Strangelove. Pacino’s turn in Dog Day is my favourite of his and Poitier in The Heat of the Night is another classic performance. Will Ferrell?!? Best acting performances? He’s average at best. Anchorman is funny but the performances are caricature at best. It’s throwaway cinema. Great list. 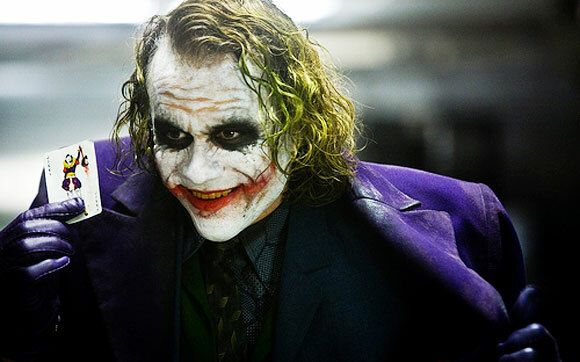 Ledger is incredible in Batman. Good selections. I would’ve had Meryl Streep in there somewhere, probably for Silkwood. Wow! You guys are brave. Tackling the best or favourite performances of all time is a difficult task. With a top ten, you are naturally going to get some snubs because, let’s face it, there’s been 100’s of terrific performances over the years. I love that you have Burgundy in there. I thought that was one of the greatest characters ever put to film. I won’t comment on all of them, but I love ever choice. IMO, Ledger’s performance is the best supporting performance I’ve ever seen. I was truly blown away by what he did on screen. There’s just simply nothing like it. For supporting roles, the only other one that comes close, imo, is Val Kilmer from Tombstone. Damn…forgot to mention that DiCaprio absolutely should have won for Wolf. It’s one of my favourite performances as well. McConaughey was terrific that year in Dallas Buyers Club but DiCaprio gave a performance of the ages. He’s terrific in every film but really went above and beyond for Wolf….great that you have that performance here as well. Astonishing that Philip Seymour Hoffman missed out. Amazing actor what performance of his would you have in your list? Great list. Tough topic. I’d jump on a Pacino performance ordinarily. Scar face would be my pick. Love the top pick of Ledger. Can’t beat that performance. It was memorable, melancholic, the best of his career. 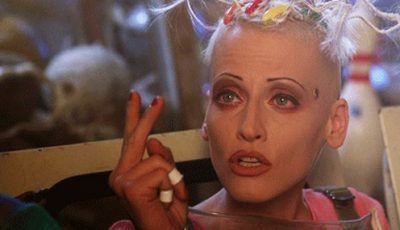 Hopkins is another huge fave of mine. Great to see the underrated Will Ferrell highlighted for his Anchorman. You also picked my fave Washington film. Alec Guinness in Kind Hearts and Coronets is my favourite performance by any actor ever. Two for the price of one: Laurence Olivier and Michael Caine in Sleuth. Peter Finch in Network has always been a favourite of mine. Great call on Ledger at #1. Great list guys. I enjoyed reading this one. What a tough topic to tackle. This must have been tough. I’ll check out the podcast now. Ledger and Hopkins are two of my favourites. 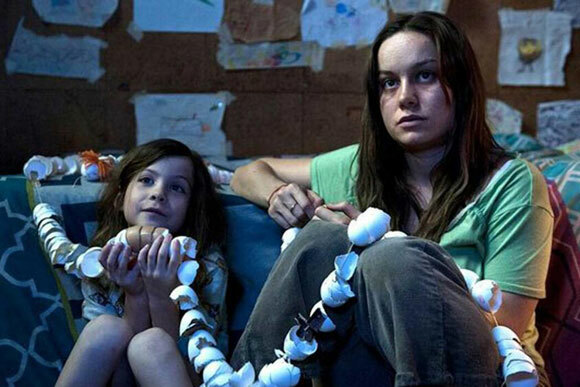 Great to see Brie Larson, she was amazing in Room. 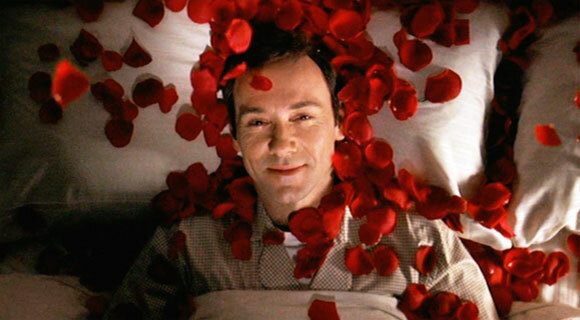 Loved Spacey in American Beauty but preferred him in Glengarry Glen Ross, The Usual Suspects and some others. Kate Hudson is a strange one. 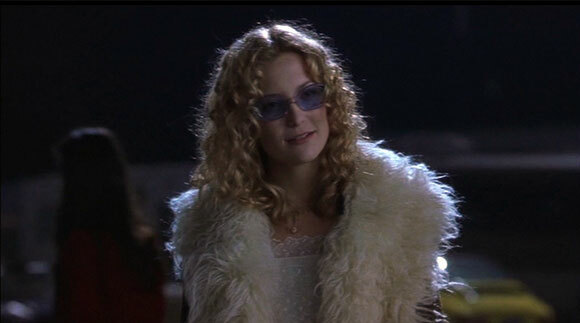 Never liked her and thought her performance in Almost Famous was distracting. Johnny Depp has been better than Pirates such as in Fear and Loathing in Las Vegas. His best performance for me is Ed Wood. Will Ferrell is a great comedy actor but would never consider him amongst the best actors. In terms of comedians, don’t you think Eddie Murphy, Bill Murray or Robin Williams are better candidates. Good picks on Peck and Washington. 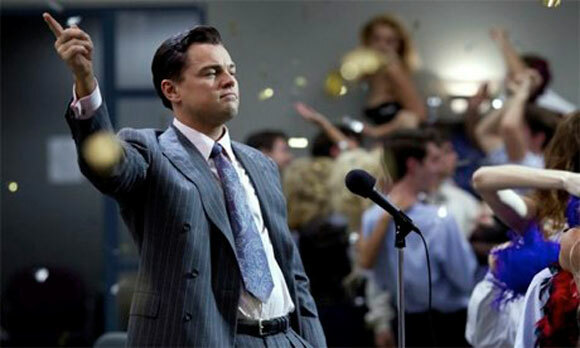 DiCaprio has done far better than Wolf. Have you seen The Revenant? Best DiCaprio – Who’s Eating Gilbert Grape, This Boy’s Life and The Revenant. Wolf would come in 4th or lower for me. Hopkins in for Silence but Jodie Foster overlooked for a top spot?! Frances McDornand in Fargo would be one you’ve overlooked IMO. Good list though. McDormand is so good in Fargo. I’d say that’s my favourite performance of hers. Hopkins but no Jodie Foster?!? Although I think Hopkins stole the show in Silence of the Lambs, Foster was great. 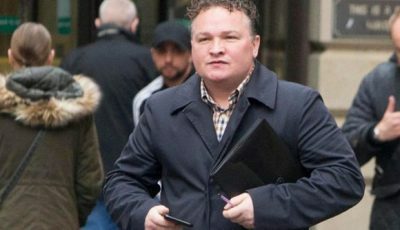 However, I wouldn’t say it was Foster’s best turn, perhaps I’d reserve that accolade for The Accused. When I think of the greatest performances, I instinctively think back to Hollywood’s golden age Of Katharine Hepburn, Spencer Tracy, Laurence Olivier, Ingrid Bergman, James Stewart, Olivia de Havilland, Shirley Booth, Elizabeth Taylor, Cary Grant, Humphrey Bogart and Gary Cooper. They all live longer in the memory than the likes of Ferrell and Depp today. But perhaps that’s to do with my age. I’m surprised Elizabeth Taylor didn’t make the top 10 for one of her roles – probably Who’s Afraid of Virginia Woolf? Likewise, I would’ve had Cary Grant and Rosalind Russell as a twosome for His Girl Friday (incredible film for all sorts of reasons, especially the acting). Good to see Anthony Hopkins rated so highly but I would’ve had him in the list for The World’s Fastest Indian. Peck for Mockingbird was a good call too. Love His Girl Friday! You’re right, Russell and Grant are terrific in it. Great list guys. Burgundy… good call! Silence of the Lambs getting a mention via Anthony Hopkins makes me think Jodie Foster needs a top 10 place. She’s done so many great characters but Panic Room is my fave. Great to see Brie Larson make the list. She’s going to be one of the all time greats and she’s incredible in Room. Matthew McConaughey in Killer Joe – amazing performance! Meryl Streep, Meryl Streep, Meryl Streep !!! Richard Burton in Who’s Afraid of Virginia Woolfe. There’s one that sticks out for me – Gloria Swanson in Sunset Boulevard. So memorable, so iconic, so startlingly effective. For similar reasons, I’d pick Charlie Chaplin in Limelight. Heath Ledger in The Dark Knight… good choice… there was something special about that performance… it’ll be remembered for years. For me, the best EVER performance came from Brando in Apocalypse Now. Haunting and ethereal; he was a genius. Nice selection with well-reasoned armunents for inclusion. 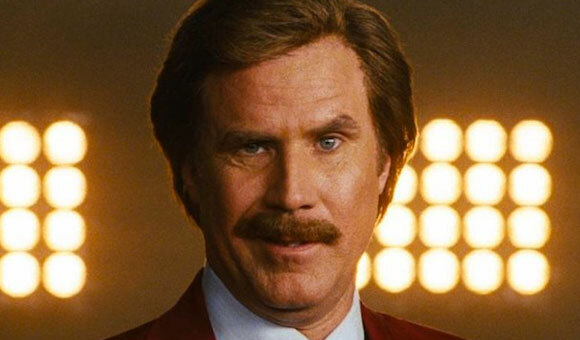 I’ve yet to be sold on the talents of Will Ferrell but if he is a one hit wonder then Anchorman is a worthy choice. I’m sure even he would agree there are better comedian actors out there, not least the Chaplins, Keatons (brothers and Micheal) and Pryors. I’d have picked Gene Wilder in Stir Crazy to fit that category. 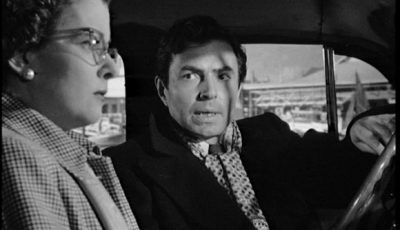 Gregory Peck in Mockingbird is a great choice as is Hopkins and Spacey. I actually preferred Spacey in Usual Suspects and would have picked Swimming With Sharks had I chosen to include him in my top 10. Ledger’ turn in Batman is definitely a “performance” so a worthy number one. For me, I love Cary Grant in North by Northwest, Jimmy Stewart in Rear Window and Peter Sellers in Strangelove. 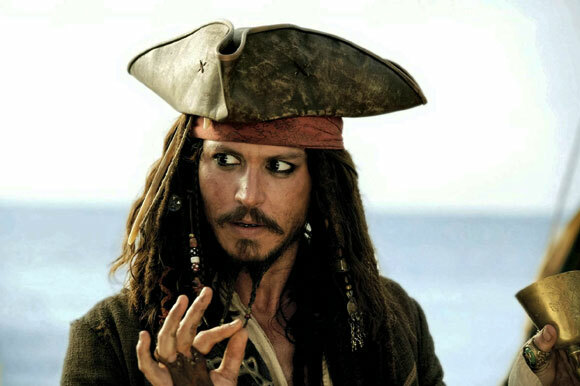 Johnny Depp is a terrific performer and he’s perfect as Jack Sparrow. But my favourite performance by him is Ed Wood. Im drawn to your selection of Will Ferrell and can’t help but think there are better comedic performances from more talented comedic performers. IMO of course… but Eddie Murphy and Gene Wilder would be ahead of Ferrell while my “top 10” place would probably be reserved for Jim Carrey or Leslie Nielsen.